This is the heart-breaking tale of Angell, a young girl desperately loved but inadequately cared for by her troubled mother Nicki. Abandoned and left barely clothed beneath a park bench on a freezing cold day in winter, the bewildered child is rescued by police and passed into the loving and compassionate care of the Lewis family. But when foster carer Rosie takes Angell into her home and heart, she wonders whether Angell’s mother will ever return for her daughter? Or will Angell be destined to spend the rest of her childhood in care? Heart wrenching story with an awesome ending. Very good read, did not stop until the end. Cannot wait to pick up some other books by Rosie, hoping they are longer though. I enjoyed the short story. It did take a few pages to catch my attention completely. But, overall an easy book to read. 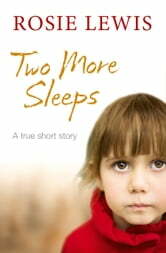 A short story of a child and mother living and surviving together in a rough world. An enjoyable read. Had to read it all in one sitting. A nice short story however I prefer stories with more detail to them. I enjoyed this book for the insight it provided into what a family experiences when a foster child enters however briefly into their home. Heart wrenching and yet heart warming too.